Are you overimproving your home? Happy New Year! Let’s LEAP into it! Okay, so this is probably everyone’s LEAST favorite topic to read about, but it’s important: the new tax laws. 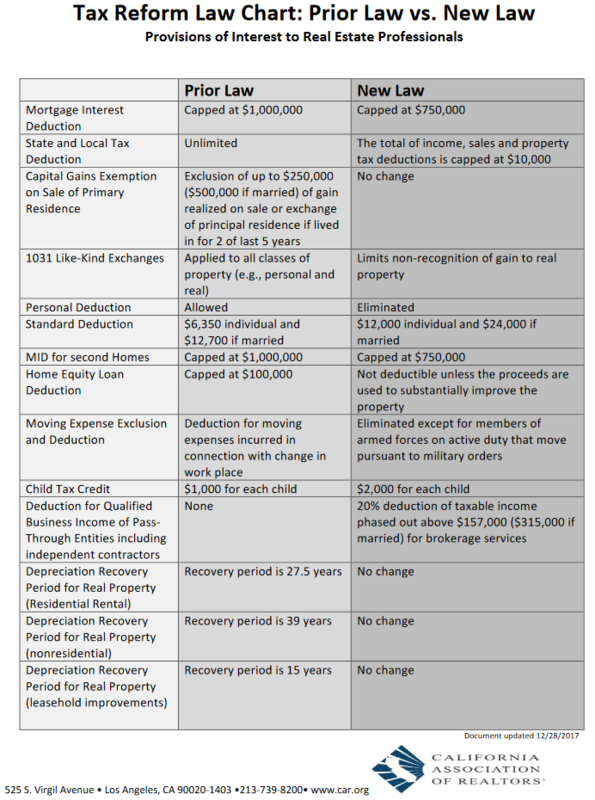 The California Association of Realtors issued this handy chart recently, and I thought I’d share it with you. And of course, you know you can always give me a call to discuss how this might affect your home. I wish you all the best in 2018, and feel free to call me anytime!